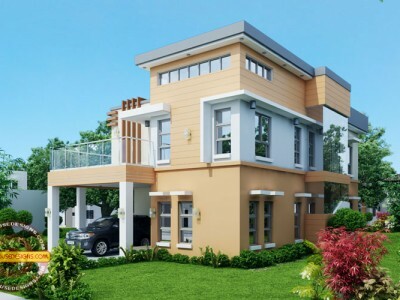 Florentino is a two storey house design and will surely be a family favorite which features 4 bedrooms (3 bedrooms on the second floor and an additional maid’s room in the ground floor), 3 baths, a garage and a balcony. This features a guest bath on the ground floor, a private bath in the masters bedroom and a common bath shared by HIS and HERS bedrooms. This design occupies a 148 m² – combined ground and second floors. The design looks so simple but elegant. The living room welcomes from the open porch built just beside the perfectly located carport on the left. The carport was built with a firewall on its left to maximize the space and area. The dining room is directly situated and adjacent to the living room which offers an easy access and is separated from the kitchen by a mini wine bar which displays privacy between spaces and a little touch of sophistication. Fresh air can be felt when needed while opening the sliding glass door as can be seen on the right side of the dining room. A service area is provided adjacent to the kitchen and is also leading convenience to the carport which allows comfort and ease in mobility of activities around the house. The staircase is built along one of the walls which create no obstruction on the areas in the ground floor. The second floor features a well-planned and very friendly lay out of bedrooms facing each other. The master’s bedroom has a private bath with a whirlpool tub, a compartmented toilet and a separate walk-in-closet. The other two bedrooms shared a common typical bath but accessorized by individual walk-in-closets. A balcony accentuates the master’s bedroom built along two adjacent sides of the bedroom overlooking to the main road. This is separated by a sliding glass door from the room which adds attraction to the total beauty of the design. 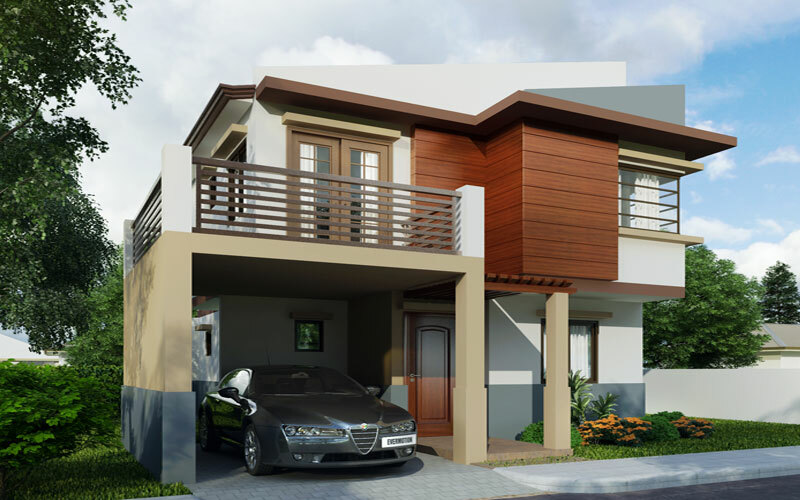 The idea of building a balcony allows comfort to the master’s bedroom. The use of steel as wall in the perimeter of the balcony adds beauty as well in aesthetics. Using glass windows in the HIS room is a brilliant knowledge for vision and coziness aside from the fact that glass as medium of buildings defines the current trends of modern day architecture. Overall, with an average of 74 m² each floor, this design can be classified as economical housed design for a two-story house considering the lay-out which demonstrates comfort and accessibility to every house components, not to mention the wise utilization of the whole area and space. 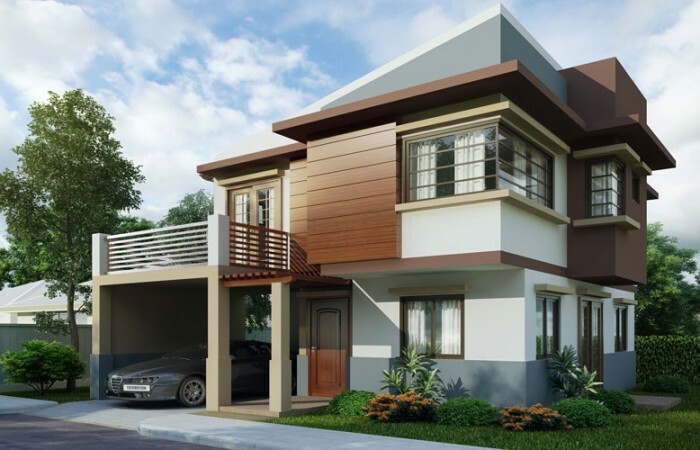 This house design is a good choice of design that is perfect to build in rural or urban communities and/or in private lots and subdivisions. The combination of materials and media used showed versatility of house design. If you are looking for a combination of economical design, comfort and aesthetics, then call this a brilliant choice. For other designs and choices check other Pinoy House Designs. Please visit our website Pinoyhousedesigns.com or contact us.